St Colman’s Primary and All Saints’ Nursery, Banbridge has been awarded IQM Flagship School status. I had the privilege of visiting St Colman’s PS and All Saints Nursery on 23rd November 2017. It was a warm and welcoming school where exceptionally well behaved, enquiring pupils enjoy a broad and outward looking education enhanced by extra-curricular activities. There were many opportunities for me to observe the interaction between the children and all staff. It was clearly evident that mutually respectful relationships exist which reflect the Catholic and inclusive ethos which the school is very proud of. The children were polite, showed confidence, spoke eloquently and understood the strengths of the school and the improvements they were making. 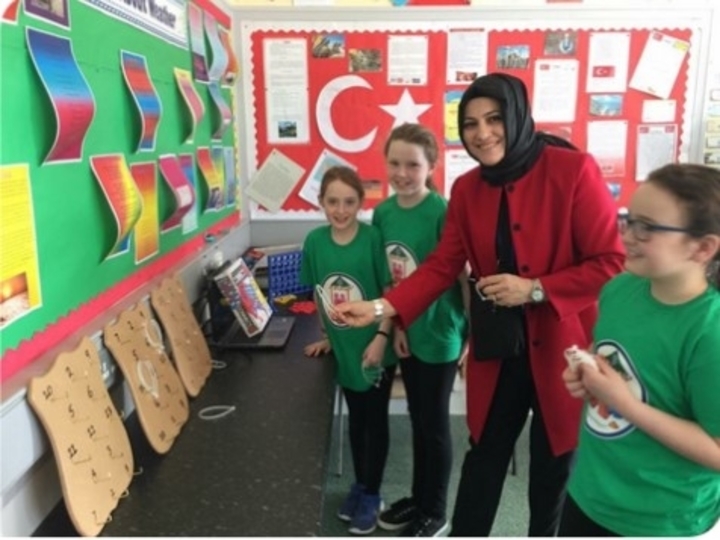 The school has engaged with many partners in the community to give the pupils a real sense of community and a perspective on their role within a European and global society. The Erasmus and Shared Education projects have been outstanding examples of the horizons which a small Primary School can achieve. Working seamlessly with these projects is the school’s self-evaluation process signposting future improvements and their impact on the pupils’ learning. A detailed, consultative School Development Plan outlines the school’s priorities with the theme of ‘Progress through Partnership’. This visit highlighted for me the significant work done to realise the action plan for year three of Centre of Excellence. I can report that most of the objectives have been achieved and Centre of Excellence sustained. Those partially achieved remain priorities for a new action plan which will outline how the school will proceed towards Flagship status. This is a school well embedded in its inclusion values and is in no doubt a centre of excellence where the principal, staff, parents and Board of Governors are committed to an educational experience second to none for its pupils.